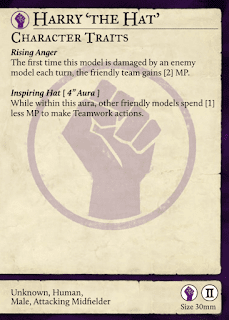 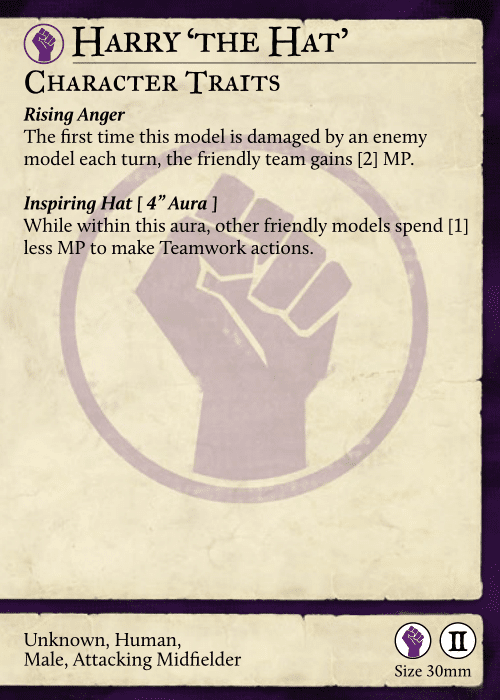 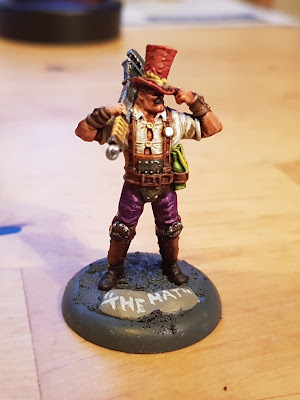 Lightning Shroud: Guild Ball: "The Hat", painted! 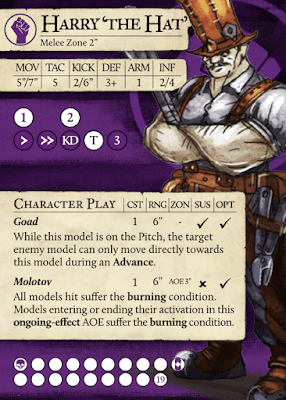 My latest paint job is the Union player Harry "The Hat" Hallahan, the hat with the most awe-inspiring man in Guild Ball. If the hat does not get the job done, the man also has a huge wrench and Molotov cocktails. Such an great model, he really looks like he means business! 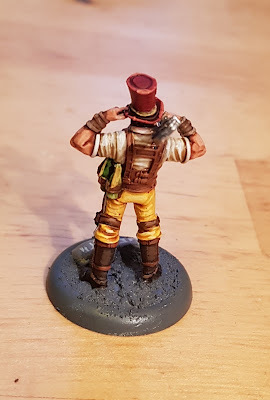 Not sure if he is good with the Brewers, but I will soon find out!